the new client web-oriented: vSphere Web Client. To work correctly this client require a server part (that is already included in the vCSA and must be installed in the Windows version of vCenter). In this page let’s talk about the pros, cons and limits of the vSphere Web Client. With vSphere 5 there is a new version of vCenter Server: VMware vCenter Server Virtual Appliance. In this page we will see pros and cons of the VA compared to the installable version. 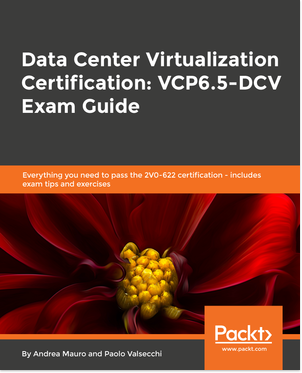 With this first post, I will start a collection of link and notes about the VCP5 exam prep. I will use the official blueprint (the actual version is 1.2, and is still related to the beta exam, but probably it will remain the same). Let’s start from the part that is not included in the blueprint (something is in objective 1.5): the VMware products and solutions overview and some concepts about cloud computing. This part is really simple and I’ve listed only some products (but probably the most important). Apart vSphere (where of course a complete knowledge is required), just an idea of product purpose could be enough. This part it’s not obvious… Apart the definition and difference between private, hybrid and public cloud (as written in objective 1.5) it’s also needed a knowledge of the type of services. Official news are still missing, but something is moving for the new exam VCAP5-DCA. There are works in progress for the blueprint (whit also the feedback from a restricted survery that will close on Jul, 26). Seems confirmed that the exam will be 100% lab based. So could be possible that VCAP5-DCA certification will be announce during the VMworld USA at the end of august. Maybe in the same period will start the beta? What I quite sure is that the beta cannot run before… most VUE testing centers are closed in August. After two year I’m again on the VCP beta exam… (on July, 14 2009 I’ve take the VCP4 beta exam, that was the first beta exam from VMware). As written in the official blueprint (v1.2) the beta exam (code VCP511) consist of 180 questions (with a short pre-exam survey of 8 questions). Beta exam period will finish on July, 24 (I never though that some VUE testing center were open also on other day than Mon-Fri) and can be schedules in any VUE center (depending on available seats). Note that each people can see both VCP510 and VCP511 exams in their profile, but the official will be available only on late Aug and the beta is only on invite… so I think that without the invite voucher (that is individual) is not possible book the exam. With the official announce of VMware vSphere 5 an historical era has ended: vSphere 5 will be based only on ESXi… ESX in no more available. 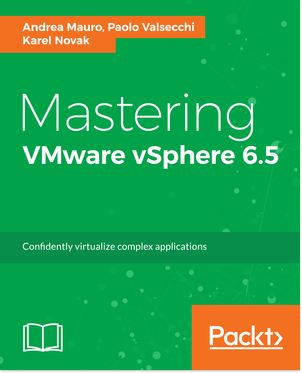 After the launch of vSphere 5 on July 12th, also the new VCP5 has been launched! The final exam will be available to take after August 29th 2011, but there was also be the usual beta period until Jul 24. 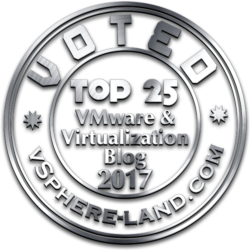 From the vExpert Landing Page: The VMware vExpert Award is given to individuals who have significantly contributed to the community of VMware users over the past year. vExperts are book authors, bloggers, VMUG leaders, tool builders, and other IT professionals who share their knowledge and passion with others. These vExperts have gone above and beyond their day jobs to share their technical expertise and communicate the value of VMware and virtualization to their colleagues and community. You can notice that it isn’t a new type of certitication but a award (quite similar to Microsoft MPV). The VMware Certified Professional 4 – Desktop Certification is the second step of the Desktop Technologies Certifications paths. To become a VCP4-DT: http://mylearn.vmware.com/mgrReg/plan.cfm?plan=21427&ui=www_cert. Basically the two requirements are: VCP4 and VCA4-DT certifications… no course is mandatory, but some courses are recommended. Sound strange, but I’ve not found the offical price of this exam. In the web site there is only this sentece “Register for the VCP4-DT exam before September 1, 2011 and take advantage of the $50 discount”. So I have to assume that the price that I get from VUE site is already the dicounted price. If it’s true… then the exam costs more than the VCP4 exam!